Captain Chesley ‘Sully’ Sullenberger is famous for something that took less than 10 minutes – crash landing the airplane he was piloting into New York’s Hudson, an miraculously saving all the passengers. That might not sound like enough for an entire movie, but there will be plenty more to it in Clint Eastwood’s Sully, which has just released its first trailer. Here’s the synopsis: ‘From Oscar-winning director Clint Eastwood (“American Sniper,” “Million Dollar Baby”) comes drama “Sully: Miracle On The Hudson”, starring Oscar winner Tom Hanks (“Bridge of Spies,” “Forrest Gump”) as Captain Chesley “Sully” Sullenberger. ‘On January 15, 2009, the world witnessed the “Miracle on the Hudson” when Captain “Sully” Sullenberger glided his disabled plane onto the frigid waters of the Hudson River, saving the lives of all 155 aboard. However, even as Sully was being heralded by the public and the media for his unprecedented feat of aviation skill, an investigation was unfolding that threatened to destroy his reputation and his career. A couple of weeks ago it was announced that Clint Eastwood had found his next film, a movie about the Hero Of The Hudson, Chesley ‘Sully’ Sullenberger. Based on Sully’s memoir, Highest Duty: My Search For What Really Matters, the film will chronicle what made the pilot an American legend, when he was at the controls of a passenger plane which malfunctioned and was going to crash. However the Captain managed to bring the plane down into New York’s Hudson River. Whenever a film about Sullenberger has been mentioned, Tom Hanks’ name has emerged as the main person people thought should play him. Now it seems it’s going to happen, with the man himself in talks to star in the movie. If he does sign on, it’s not clear when it will shoot, although Clint normally doesn’t need too long to prepare. Often when an actor has a passion project it turns out to be something that should never have been attempted and ends up as a very expensive way to massage their ego. However, while Bradley Cooper was one of the major driving forces behind American Sniper, it was always clear he was onto something interesting. Indeed, at one point Steven Spielberg even signed on to direct, before the gig went to Clint Eastwood. While Clint may be known as a bit of a hard man actor, he really brings the emotion out of what could have been a rather stereotypical war story in other hands. It’s musical chairs in Hollywood as when Bradley Cooper initially attached himself to American Sniper he was considering it as his directorial debut, however he ended up passing the reins to Clint Eastwood. However he now taken on one of Clint’s cast-offs, as Deadline reports he’s set to direct a remake of A Star Is Born. Clint was planning to make the movie a couple of years ago, but his star, Beyoncé, got pregnant, and after that they were never quite able to pull it all together. Cooper is said to still want Beyoncé in the starring role as a young woman with dreams of a singing career who meets a famous actor. However as her career rises, his self-destructs thanks to his alcoholism. Cooper plans to play the actor himself. This will be the fourth movie version of the story following the 1937 original, the classic Judy Garland 1954 version and Barbra Streisand’s 1976 take on the tale. It’s not clear when Cooper plans to shoot the film. If you’re going to change directors, swapping Steven Spielberg for Clint Eastwood is a great trade. 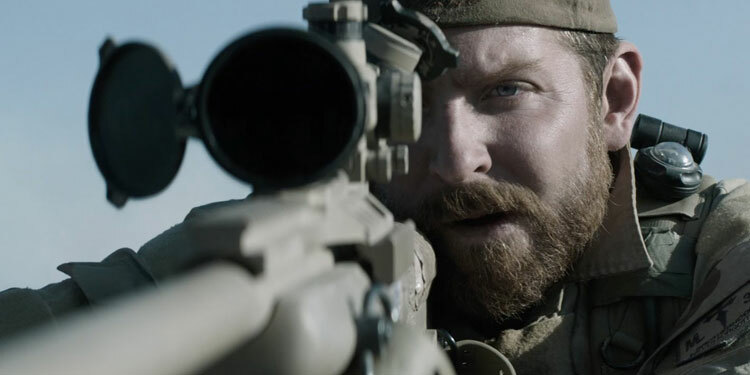 With a limited US release of December 25th, American Sniper is now gearing up to be in the Oscar race, with Bradley Cooper aiming for his third Oscar nomination in a row with the movie. Here’s the synopsis: ‘From director Clint Eastwood comes “American Sniper,” starring Bradley Cooper as Chris Kyle, the most lethal sniper in U.S. military history. But there was much more to him than his skill as a sharpshooter. ‘U.S. Navy SEAL Chris Kyle is sent to Iraq with only one mission: to protect his brothers-in-arms. His pinpoint accuracy saves countless lives on the battlefield and, as stories of his courageous exploits spread, he earns the nickname “Legend.” However, his reputation is also growing behind enemy lines, putting a price on his head and making him a prime target of insurgents. He is also facing a different kind of battle on the home front: striving to be a good husband and father from halfway around the world. American Sniper is gearing up to be in the Oscar race, which isn’t too much of a surprise considering it’s directed by Clint Eastwood. To give us a taste the first trailer has arrived along with a poster. 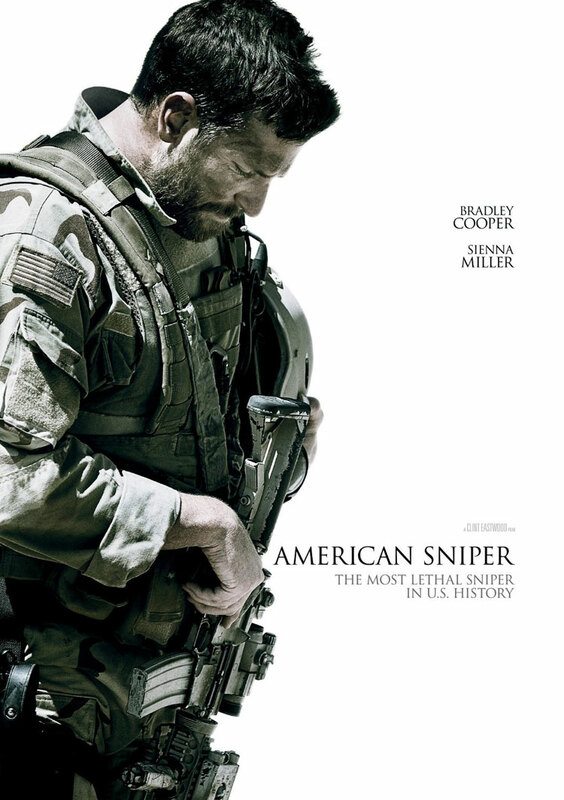 At one point it looked like producer/star Bradley Cooper had scored Steven Spielberg to direct American Sniper. However while the bearded one stepped away he got a great replacement in the form of Clint Eastwood. Now the first images have arrived, via USA Today, and you can take a look at them above and below. The action movie is based on the autobiography of Navy SEAL Chris Kyle (Cooper), a Texas native who racked up the most confirmed sniper kills of anyone in US military history. However before he took the record, he was a rodeo cowboy. Tragically though, he was killed by a fellow veteran at a shooting range in February 2013 (it’s not clear if that will be included in the movie). Sienna Miller also stars as Kyle’s wife Taya Renae Kyle. Every time Clint Eastwood decides to make a music-based movie there seems to be surprise. His tough guy image makes people overlook that he’s a man with a love of jazz who’s actually made quite a few movies that could be classed as musicals, from Bird to Honkytonk Man. However Jersey Boys is his first directorial outing based on a proved Broadway hit. And now we get our first look with a trailer and poster. Here’s the synopsis: ‘The film tells the story of four young men from the wrong side of the tracks in New Jersey who came together to form the iconic 1960s rock group The Four Seasons. The story of their trials and triumphs are accompanied by the songs that influenced a generation, including “Sherry,” “Big Girls Don’t Cry,” “Walk Like a Man,” “Dawn,” “Rag Doll,” “Bye Bye Baby,” “Who Loves You,” and many more. ‘These classic hits are now being embraced by a new generation of fans through the stage musical, which has been running on Broadway for more than eight years and has also enjoyed successful tours around the globe. Luke Grimes has recently been getting busy on the set of Fifty Shades of Grey, but that won’t be his only big movie of 2015, as he is in final talks to join American Sniper, which already has the likes of Bradley Cooper, Sienna Miller and Jake McDorman attached to star. The action movie is based on the autobiography of Navy SEAL Chris Kyle (Cooper), a Texas native who racked up the most confirmed sniper kills of anyone in US military history. However before he took the record, he was a rodeo cowboy. Tragically though, he was killed by a fellow veteran at a shooting range in February 2013 (it’s not clear if that will be included in the movie). Grimes will play fellow SEAL team member Marc Lee. Clint Eastwood is directing from a screenplay by Jason Dean Hall (Paranoia, Spread),.